When we think of the American cowboy we think of the ultimate hero who fights for moral justice and explores uninhabited and dangerous terrain. These men are filled with mystery and masculinity with their brooding looks and commanding voices. 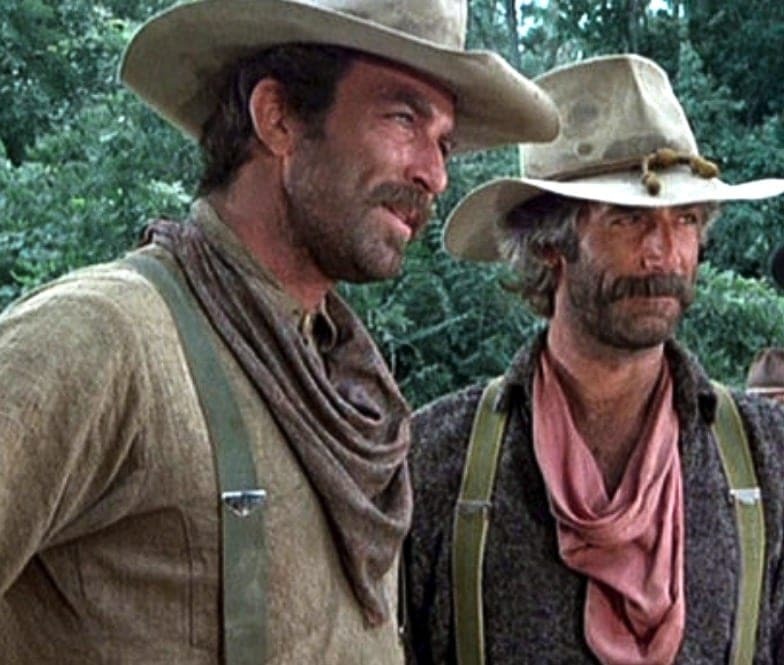 No actor better captured these characters than Sam Elliott. With his trademark moustache and masculine growler, Elliott was Hollywood’s go-to actor to play the manliest of men. He was quickly typecast as the dominant hero in the wild wild West. Elliot starred in dozens of western films where he played the wandering cowboy who saved the southern town from malevolent forces. Some of his his cowboy dramas include Butch Cassidy and the Sundance Kid, Molly and Lawless John, and Tombstone. As his profile began to rise, though, he started resenting his typecasting. His fans, in any case, love him in both his iconic roles as grizzled masculinity, or some of his more tender, and at times even experimental projects. Elliot wanted to sink his teeth into something deeper and grittier, but although he knew there was more to him than just the brooding cowboy rolling through town, as time went on, he once again embraced the way Hollywood saw him, telling reporters with his reputed humility that he was just lucky to have any career in film at all. 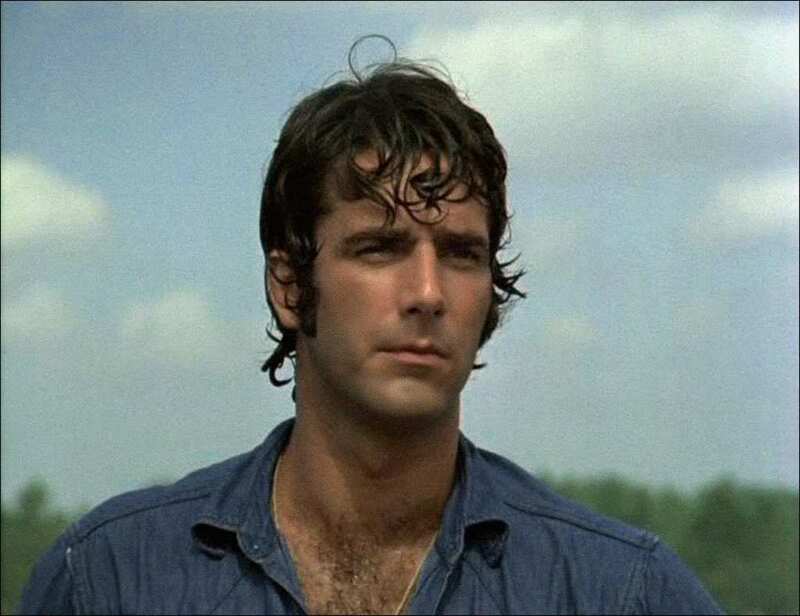 In addition to his renowned portrayals of tough cowboys, viewers are treated to a more sensitive Elliott in critically acclaimed dramas such as the recent The Hero and Grandma. In both films he plays a soft and vulnerable man with unresolved issues in his past. Both roles had critics wondering about a possible Oscar nomination for the actor. They highly regarded his performances as a quieter and more relatable hero. In addition to his action-packed career, Elliot has been nurturing a passionate relationship with the love of his life, actress Katharine Ross. 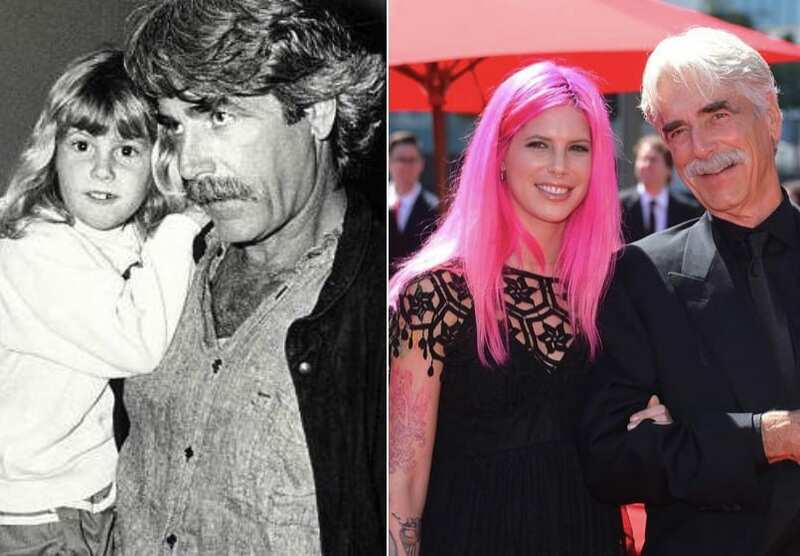 Despite not always having it so easy, as one of the truly long-term couples in Hollywood, Elliot and Ross managed to find their way to one another and make a life that suited them, instead of the fast-paced entertainment industry they came from. At present, the two-time Golden Globe nominated Elliot is currently starring in the Netflix sitcom The Ranch, opposite Ashton Kutcher. He told reporters he loves the job because it gives him stable hours not customary in the film world. He will next star in “The Man Who Killed Hitler” and then The Bigfoot as a war veteran who sets out to find and capture a mythical creature. After this he will have a small role in the Bradley Cooper remake of A Star Is Born. He will co-star opposite pop music icon Lady Gaga as her character’s manager. Whatever the size of the roll, Elliott has the reputation and the chops to leave a lasting impression, and he remains a fan favorite as well as a top choice for major Hollywood directors. Read on to find out about his incredible life both on and off the screen. 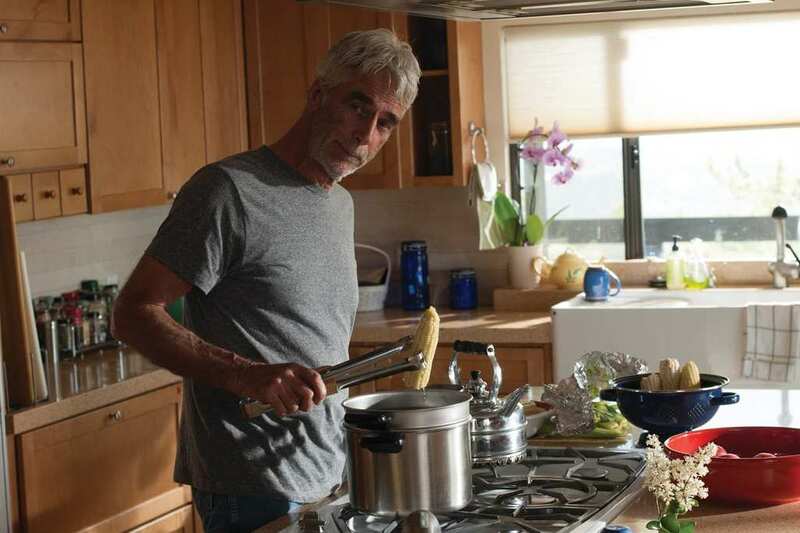 Sam Elliott’s most recent movie, The Hero, was actually written just for him. 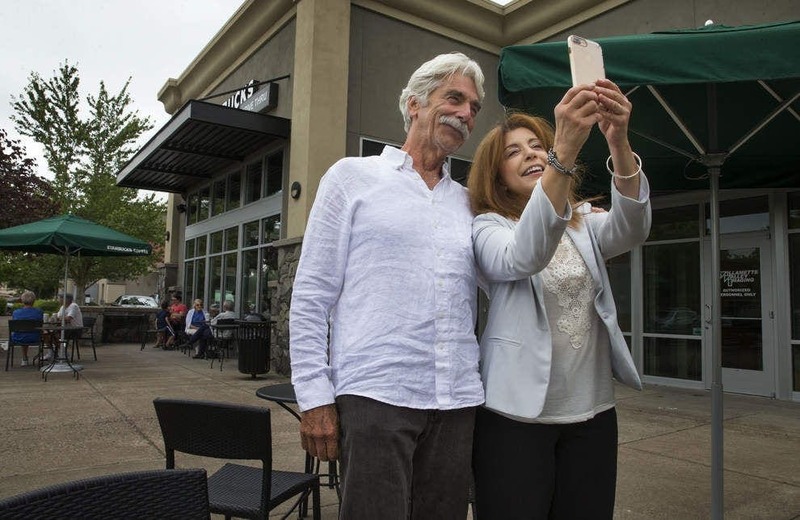 Director and screenwriters Brett Haley and Marc Basch had the idea for a film about an aging actor who reflects on his life after facing health woes. They approached Elliott with the script and insisted that the role was just for him. The film co-stars Laura Prepon and Krysten Ritter. 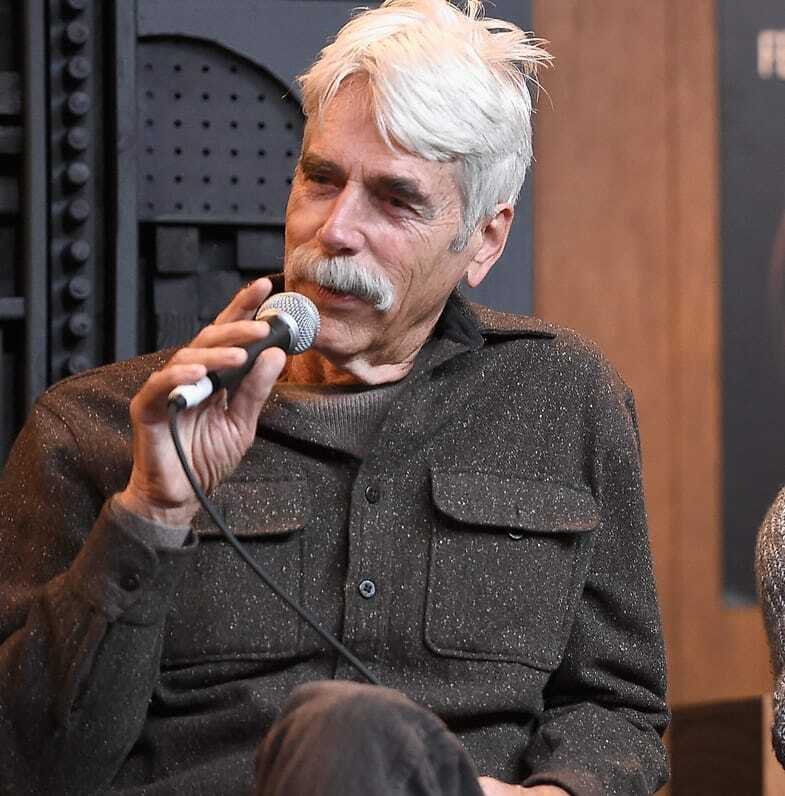 Although The Hero wasn’t a commercial success, critics lauded Elliott’s performance after its premiere at the Sundance Film Festival last year. Elliott made the move to TV in 2016 with the hit sitcom The Ranch. The family comedy co-stars Ashton Kutcher as Elliott’s son who returns to his hometown after fifteen years away. 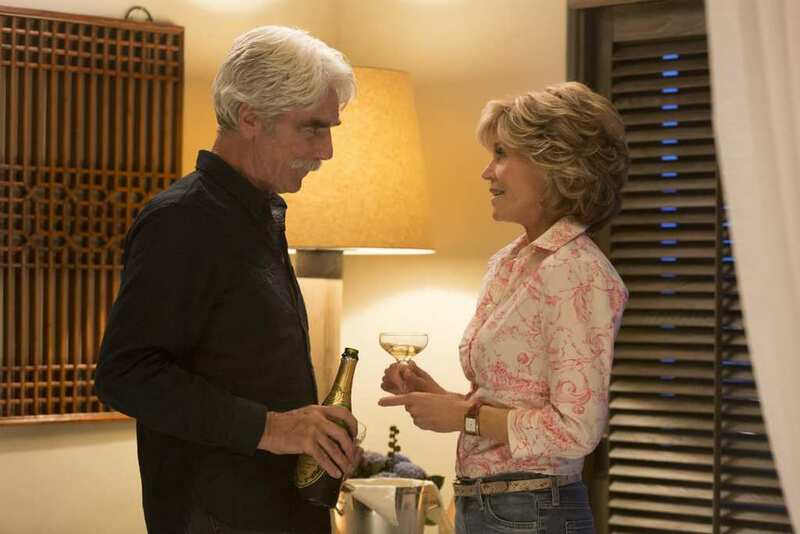 Soon after he wrapped the first season of The Ranch, Elliott made his way over to Grace and Frankie. 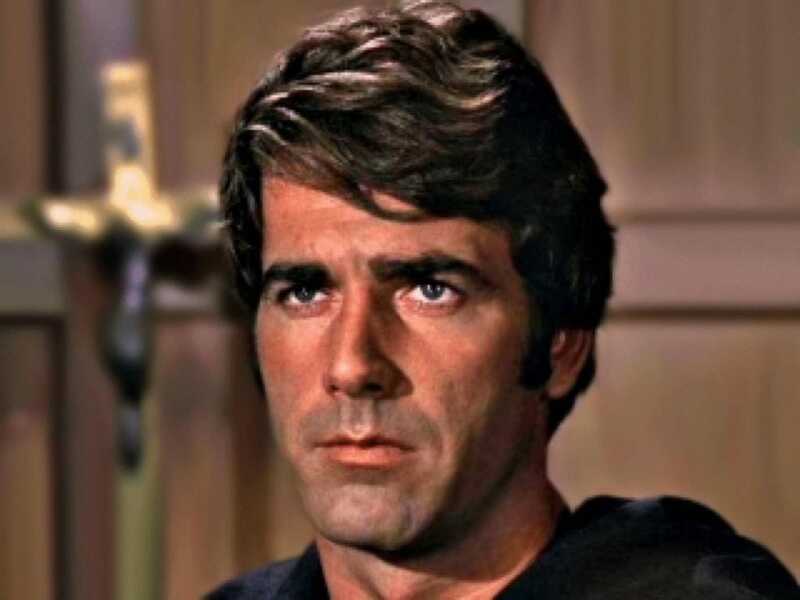 He plays Jane Fonda’s character’s love interest for the second season of the show. Fonda had been a longtime fan of Elliott and urged the show’s producers to get him on board. Elliott is known for his deep and masculine tone. He sang baritone in his school choir and attributes his trademark vocal chords to genetics. His pipes have earned him a series of commercials for major brands with many of them airing during the Super Bowl. He told Bloomberg News that he shoots commercials when he can, so he can be picky with his film choices, as the easy paycheck allows the actor to decide when and what movie he wants to film next. 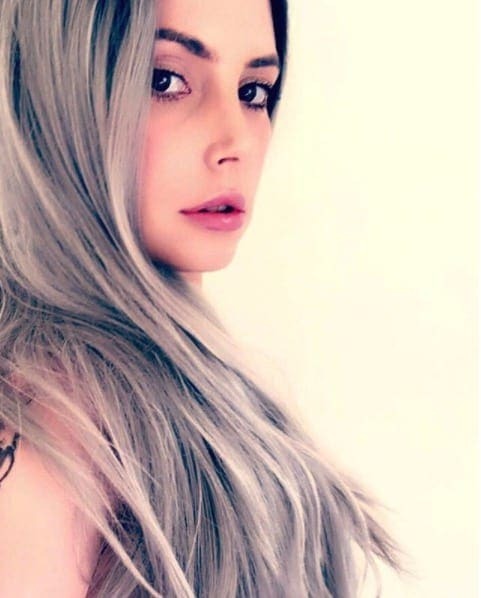 Elliott’s daughter, Cleo Rose Elliott, is a musician based out of Los Angeles. Elliott told the Washington Post last year that the two have a loving and supportive relationship and that they see each other almost every day. While the family is close today, things weren’t always as easy. In 2011 her mother, actress Katharine Ross, filed a restraining order against their daughter following a violent outbreak. The restraining order was thrown out after a few months and the family has since worked out their differences. Elliott began a career in vocal performance in 2002. Her first love was Italian opera, but she moved to classical music in 2006. In 2009, she released her first studio album, No More Lies. She took a break from music soon after its release to concentrate on her modeling career. She was featured in a number of ads for top hair brands and fashion magazines. She maintains a strong social media following and showcases her modeling achievements on her accounts. More than 5,000 fans are treated to Elliott’s life of luxury and charm on Instagram. She is an active poster and frequently highlights her daily routine living in Malibu as well as her travels around the world. She is a self-described “animal mother” and hosts a number of cats and dogs at her home. She also posts pictures of her famous mother and father. The family are showcased in a number of adorable and loving pictures. 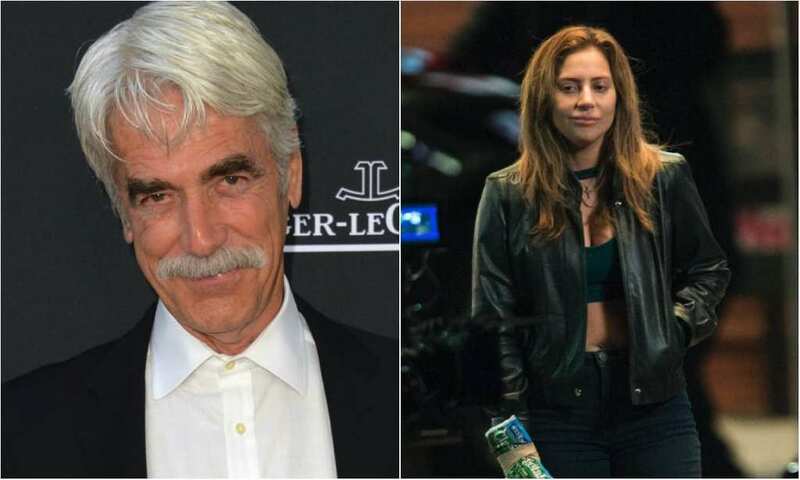 This year, Sam Elliott will co-star opposite pop music superstar Lady Gaga in Bradley Cooper’s directorial debut in the remake of A Star is Born. He will play Gaga’s ingénue character’s manager in the musical drama. Cooper came to Elliott with the role fleshed out for him and insisted he take on the challenge. Elliott has publicly expressed his appreciation for Cooper as a new director and Lady Gaga’s performance in the role. The film will be released in October. 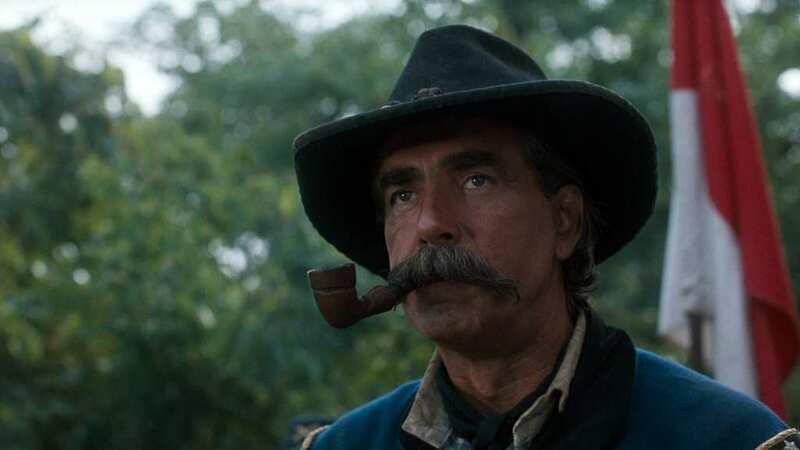 Coming from a long line of Texans, Elliott has made a name for himself playing a variety of cowboys in western films, including Butch Cassidy and the Sundance Kid, and The Shadow Riders (also starring Tom Selleck). He became the go-to actor for brawling heroes in the western genre. Rather than rejecting the typecast Elliott says that it’s the genre he feels most comfortable in. He spent a lot of his childhood with family in the South and enjoys reliving those moments for the camera. 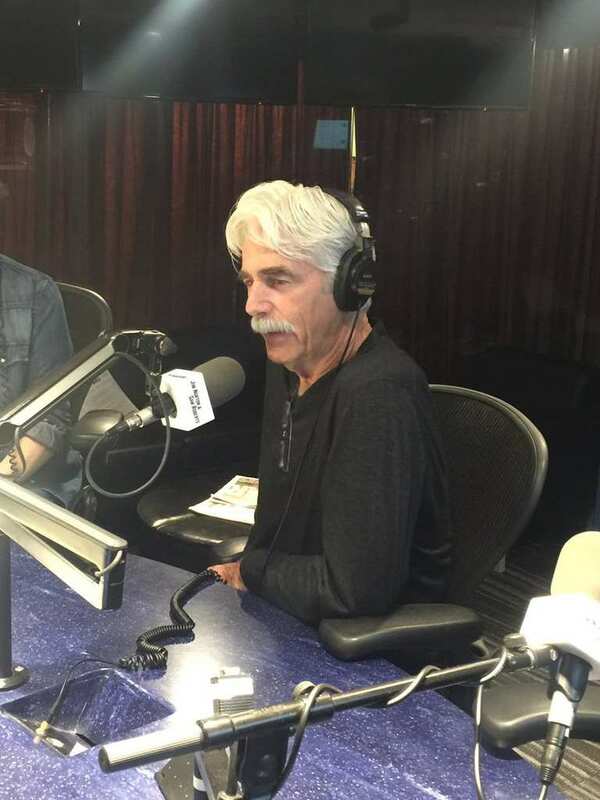 After college, Sam Elliott moved to Los Angeles to begin a career as an actor. To pay the bills, he worked in construction. Elliot was hired by a family friend who was an assistant director to recement their home. As a thank you, Elliot was invited to come hang out in their home, and it was there he was connected with the producers of Butch Cassidy and the Sundance Kid. they cast Elliot in a bit role in the film, and the rest, as they say, is history. 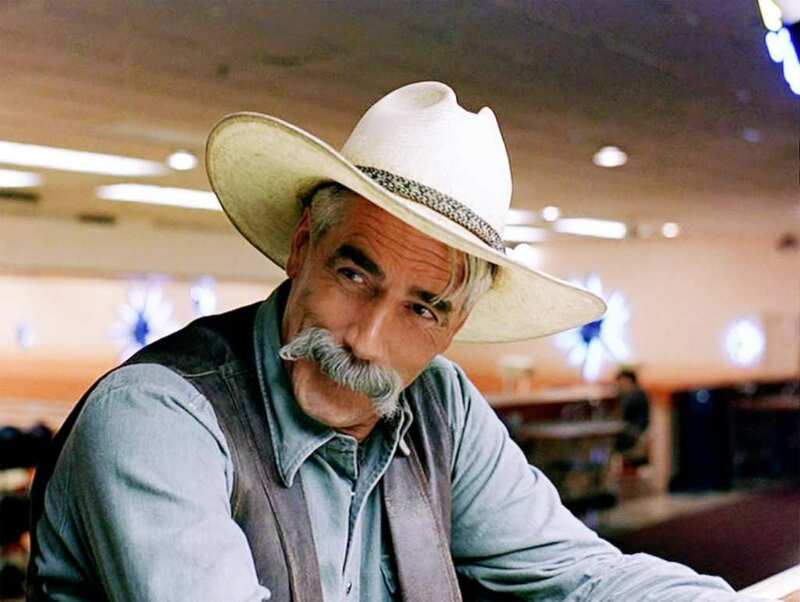 The Coen Brothers wanted Sam Elliott so badly for his role of The Stranger in the cult classic The Big Lebowski, they sent the script personally to him. While in Texas shooting The Rough Riders, a P.A. brought over the script to Elliott during filming. 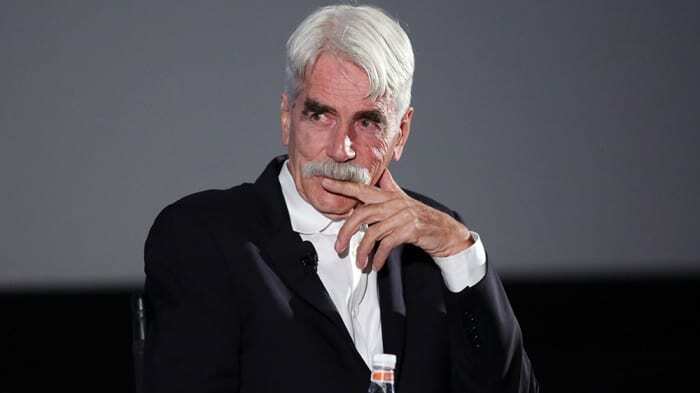 His character was even labeled in the script: “The Stranger (much like Sam Elliott)”. He immediately signed on the project and the film was a big critical and commercial success. 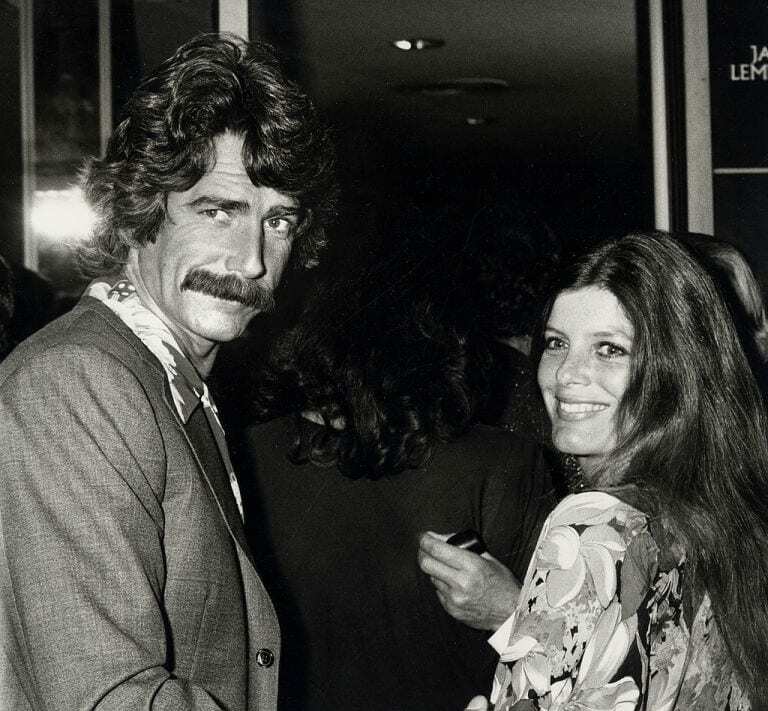 Elliott’s wife, Katharine Ross, made an impression as Dustin Hoffman’s renegade lover in The Graduate. She co-starred as Elaine Robinson, the daughter of infamous seductress Mrs. Robinson. One Academy Award nomination later and Ross became Hollywood’s next leading lady. She went on to star in a number of hits including the smash horror film The Stepford Wives, opposite Willie Nelson in the western drama Red Headed Stranger, and with Faye Dunaway in the World War II drama Voyage of the Damned. Ross was married four times before she and Elliott finally got hitched. She first married character actor Joel Fabiani in 1960. After the couple split she met and married John Marion. The couple split after two years of marriage. She met cinematographer Conrad L. Hall on the set of Butch Cassidy and the Sundance Kid. They were together for four years. She then married her The Stepford Wives chauffeur, Tom Lisi, before properly meeting Elliot while filming horror film The Legacy. They have been together ever since. Ross took a break from Hollywood in the noughties to focus on raising her daughter Cleo. She spent much time during this period working on the family’s 33-acre ranch in California but accepted some small guest roles on TV as they came to her. Ross also wrote a series of children’s books during this time. Not only did she write original stories including The Little Quiet Book, she wrote books for the Sesame Street series. 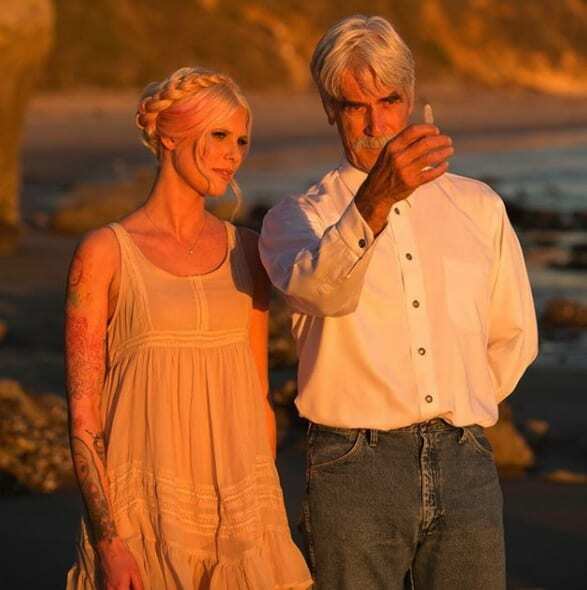 Her most recent acting role was with Sam Elliott in 2006’s The Hero. 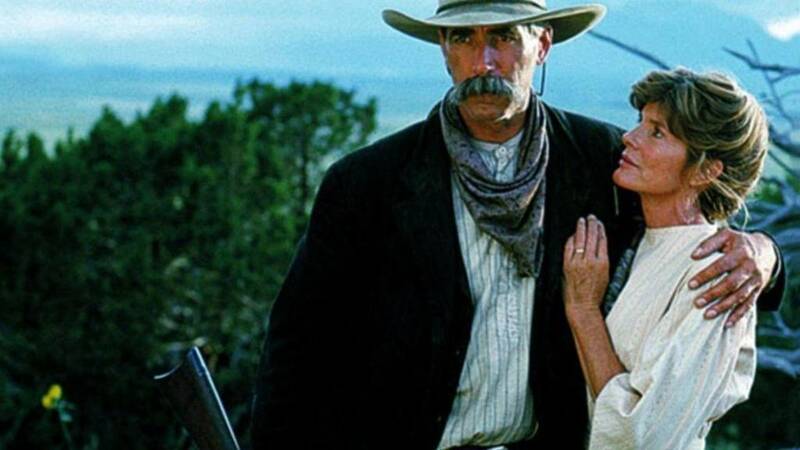 Before the acclaimed revenge western Tombstone became the hit that it was for Elliott, he clashed with the original director (and screenwriter of the film) Kevin Jarre. He told reporters that Jarre had “no idea what he was doing” as director on set. Production of the film lagged behind schedule and the cast conflicted with the director frequently throughout filming. The studio stepped in and replaced Jarre with director George P. Cosmatos. The final product was lauded by critics and was a hit at the box office. 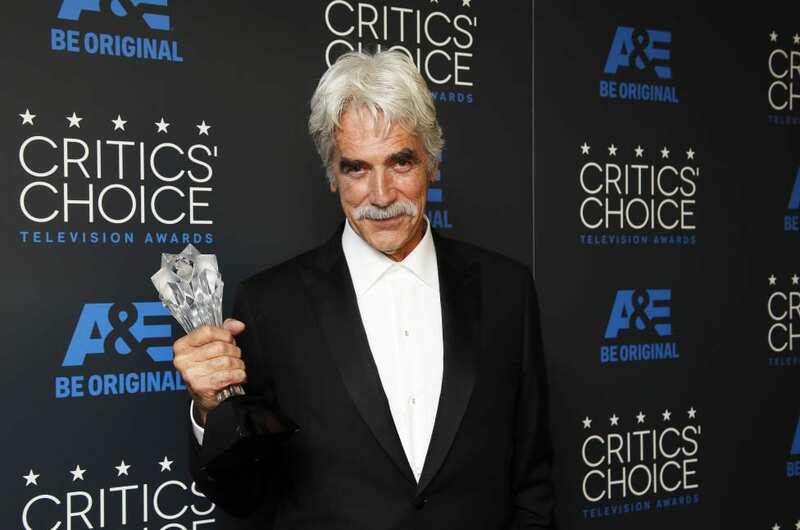 Each year one of Sam Elliott’s name is attached to a movie, Oscar buzz seems to generate around his performances. Although he hasn’t been nominated for the golden trophy yet, he was nominated for two Golden Globes for his performances in Buffalo Girls and Conagher. He was nominated for two Emmys, again for Buffalo Girls as well as voicing the narrator in the animated comedy Robot Chicken. He won a Critics Choice Award in 2015 for his guest role on the western series Justified. Several years ago Elliott passed on the chance to star with Reba McEntire in a Broadway revival of the classic musical Annie Get Your Gun. He grew up singing in choirs and school productions with his famous baritone front and center. He told the New York Times that it was his biggest regret in his professional life. “I’d love to do a musical,” he said, “I could pick it up real quick.” Here’s hoping Broadway is listening. Elliott will next star in The Gettysburg Address, director Sean Conant’s upcoming historical film about the renowned speech President Abraham Lincoln delivered during the Civil War. Elliott will play real-life companion and bodyguard to Lincoln, Ward Hill Lamon, opposite actors Dermot Mulroney, Michael C. Hall, and Matthew Broderick. The film will integrate interviews with historians, Civil Rights leaders, and politicians who are experts on the era with Elliott and his fellow actors helping to guide the story forward. The two things Elliott says he always wanted was an acting career and a family. Looks like he got what he went out for but if he weren’t an actor he says he would have remained happy as a construction worker. He grew up from a family of blue collar workers and knows how to use his hands to build incredible infrastructure. It was on the job that he was discovered by Hollywood executives and began getting cast in movies. Lucky for us, since we get to enjoy his memorable performances. Elliott told Charlie Rose last year that he never felt “up for it” in regards to being the leading man of a film. He told the news reporter that he is most comfortable supporting a film and always considered himself a character actor. Although he played fearless heroes on camera, he expressed his fear of carrying a movie on his own. The Hero was his first lead role in years and Elliot says that it helped prepare him for a return to the spotlight. At 73 years old, Elliott has no interest in joining the tech world. He doesn’t have an e-mail and is off social media completely. “Everywhere you look, people are looking at their hands,” he told AARP. “In restaurants, it’s like you’re sitting in a patch of jack-o’-lanterns because everyone’s face is lit up by their phone. Nobody’s relating to each other.” Unfortunately for fans, this means that the only place to see Elliot is in the theaters, or in the case of this lucky lady, outside of Starbucks. 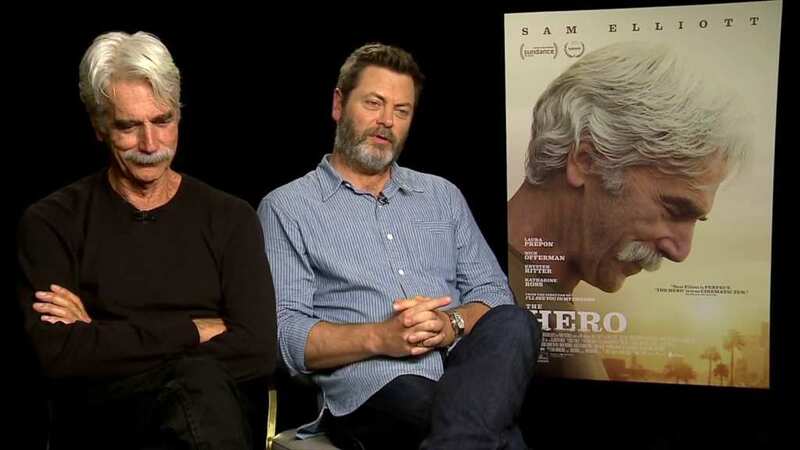 Elliott is close friends with fellow The Hero co-star Nick Offerman. 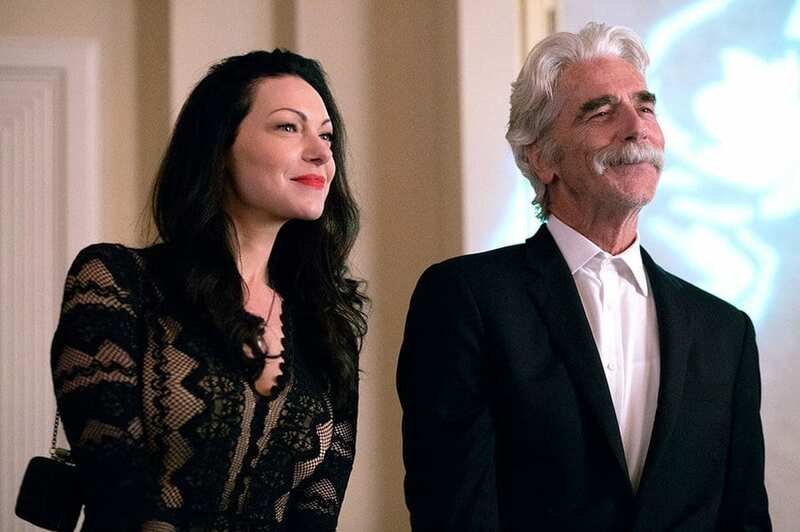 The two actors – both of them famous for their moustaches and deep voices – connected on the set of Offerman’s hit series Parks and Recreation. Elliott played Ron Dunn, who becomes somewhat of a beacon of traditional masculinity for Offerman’s Ron Swanson. The two actors got along so well that Elliott himself offered Offerman the role of Jeremy Frost in The Hero. Offerman signed on right away, and the two actors ended up sharing some of the film’s funniest moments together. Elliott tried his hand at writing one time throughout his impressively long career, co-writing the screenplay for the 1991 TV movie Conagher with his wife, Katharine Ross. The Golden Globe nominated film follows Elliott once again as a cowboy who gets intertwined with a single mother on a remote homestead. Elliott has said that he enjoyed writing the movie with his wife but doesn’t have any interest in writing another screenplay again. It was the only screenplay Ross has written, as well. 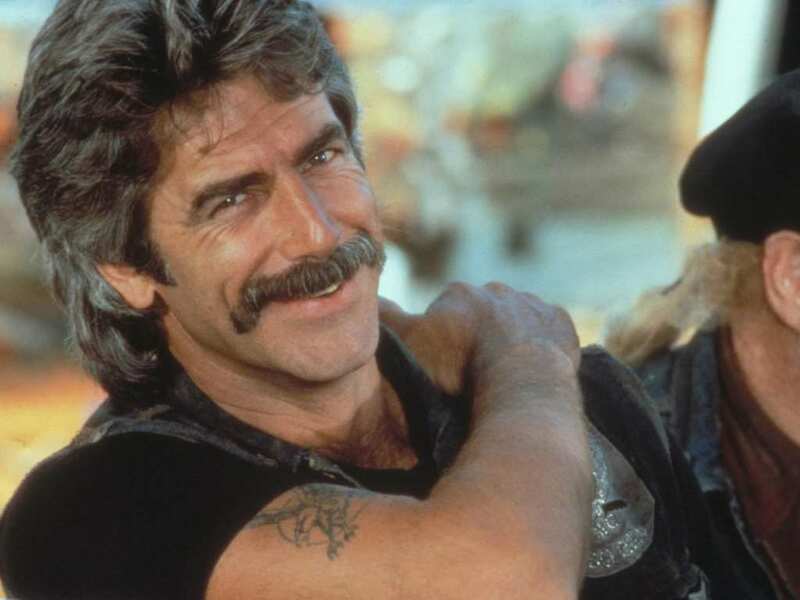 Elliott is synonymous with his signature ‘stache but he wasn’t the only actor in the race for best moustache. Also on the scene was his The Shadow Riders co-star Tom Selleck. “I was one of the early guys from my generation to have hair on his face,” Elliott told AARP. “Me and Tom Selleck, and I was first. I shaved clean and combed my hair straight back for a show called Justified on FX this year. It was fun transforming my look, but I did feel naked without the mustache.” We agree, Sam, we agree.